Welcome! Today I'm at stop on the Banker Spy by William G. Byrnes blog tour which is put together by Tribute Books. I have a special guest post from the author today along with a Q&A with the author so you can find out more about him and his book. If you like Spy novels be sure to add this book on your list. Give a big welcome to William and his book The Banker Spy! The Banker Spy weaves history into a contemporary thriller about ex-lovers who become entangled in a web of international intrigue. Investment banker Peter Armstrong believes he’s left his past in the States. He has an exciting new job in London and is managing the largest equity offering in European history. Behind him are an incident at his old employer and a broken engagement. He thinks his only problem is his client—an automobile company desperate for cash. Then he receives a phone call from his ex-fiancée, Dayna Caymus, a beautiful and unpredictable CIA agent. When Peter discovers that his client is secretly working for the German government the two ex-lovers enter into an uneasy alliance which their past sometimes helps and sometimes hurts, all the while sorting through their feelings for each other. Dayna puts her mission first, leading Peter into a labyrinth of deception and conspiracy. Peter loses his client, his job, and almost his life as they race to learn Germany’s secrets—secrets that could start a nuclear war. The Banker Spy weaves history into a contemporary thriller about ex-lovers who become entangled in a web of international intrigue. Investment banker Peter Armstrong believes he’s left his past in the States. He has an exciting new job in London and is managing the largest equity offering in European history. Behind him are an incident at his old employer and a broken engagement. He thinks his only problem is his client—an automobile company desperate for cash. Then he receives a phone call from his ex-fiancée, Dayna Caymus, a beautiful and unpredictable CIA agent. I always wanted to write and for years would sketch out ideas, but they lacked the critical mass to develop into a book. My wife and I were flying to Germany for a vacation a few years ago. Whenever we’d go to Europe I’d buy a book that had something to do with the country we were visiting. I’d read a lot about the World War II area, an interest of mine, and wanted something different. So I picked up a book on post-War Germany and read it on the flight over. 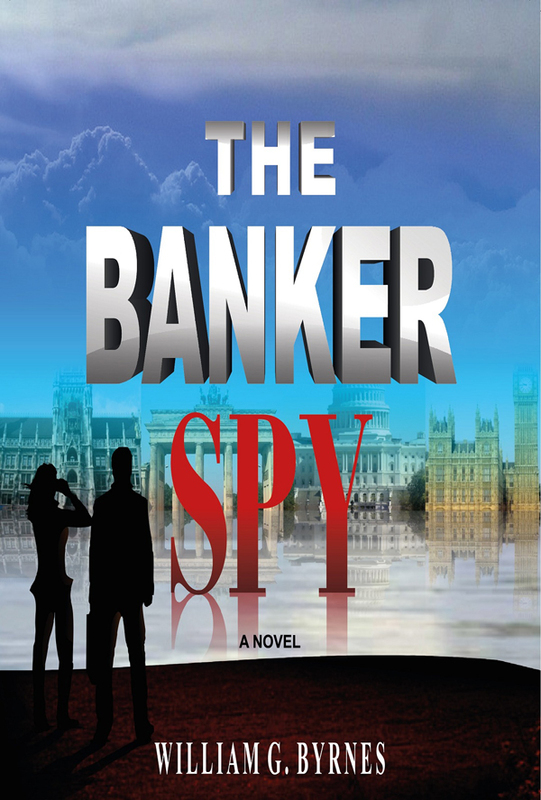 The story of The Banker Spy literally came to me by the time I’d finished reading the book. Over dinner the next night, I outlined the plot to my wife. With some modifications and embellishments, it’s the story you’ll read in The Banker Spy. Did you know that you can shorten your long links with AdFly and make $$$$ for every click on your short links.